The list was topped by 39-year-old French President Emmanuel Macron "France's youngest leader since Napoleon." Leo Varadkar, the Prime Minister of Ireland, has been ranked fifth on the list. New York: Five Indian-origin persons, including Irish Prime Minister Leo Varadkar, have featured in Fortune's annual list of 40 young and influential people in the field of business inspiring others with their work. Fortune's 2017 '40 Under 40' list is an annual ranking of the most influential young people who are under 40 in business, whom the magazine termed as "disruptors, innovators, rebels and artists" inspiring others. The list has been topped by 39-year-old French President Emmanuel Macron "France's youngest leader since Napoleon" who swept the presidential elections in May "obliterating the two-party system that had governed the country for generations." The Indian-origin persons on the list are 26-year-old Divya Nag, who oversees Apple's ambitious ResearchKit and CareKit programmes that encourage developers to build health-related apps, Rishi Shah, 31, and Shradha Agarwal, 32, who helm more than 10-year-old health-tech firm Outcome Health and CEO and founder of non-profit Samasource 31-year-old Leila Janah. Varadkar, 38, whose father was born in India, has been ranked fifth on the list. 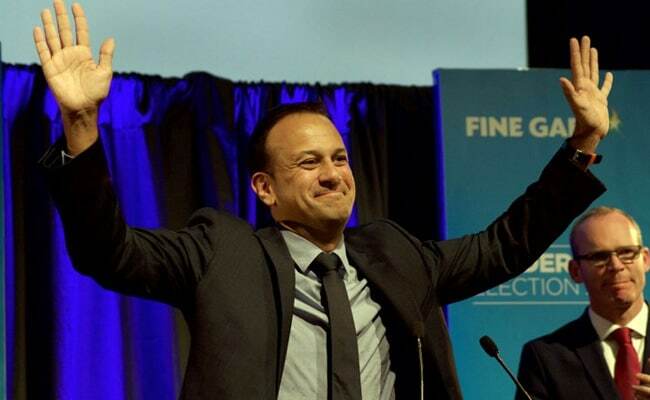 Fortune said while Ireland has long defined mass emigration, "yet remarkably, its new prime minister is the son of a Hindu immigrant from Mumbai." The former doctor is Ireland's youngest leader in centuries as well as its first-ever openly gay one, "no small detail in his devoutly Catholic country." Varadkar, however, dismisses all that as irrelevant. "Far more crucial is his ability to protect the Celtic Tiger against economic disaster when Britain exits the EU in 2019, and guarding Ireland's low-tax deals with tech giants. Many are rooting for his success," Fortune said. On Nag, who has been ranked 27th, Fortune said the Stanford dropout founded a stem-cell research startup and began a medical investment accelerator at the age of 23. Nag now oversees ResearchKit and CareKit programmes and if the company succeeds, it could transform clinical trials from isolated events at hospitals to ongoing studies that capture vital signs from omnipresent sensors, Fortune said. "I want to put people in charge of their health. It's not about living with a specific disease or condition. It's about living. Full stop," Fortune quoted her as saying. Shah and Agarwal have been ranked 38th on the list. Their company raised over $500 million at a valuation of more than $5 billion. Outcome says it has already outfitted more than 40,000 doctor's offices with touch screens and tablets that can deliver meditation apps, relevant medical information, and advertising to patients, Fortune said. Janah has been ranked 40th on the list. Fortune said Samasource is on track to pull in $15 million in revenue this year by setting up workers in India, Kenya, Uganda, and other underprivileged parts of the world as remote freelancers for the tech sector, an arrangement that boosts their average wages from less than $2.50 a day to more than $8. Janah, daughter of Indian immigrants who moved to the US, also founded a skin-care line that employs women in Uganda. She "stresses the importance of work and not charity in fighting global poverty." The list also includes Facebook founder Mark Zuckerberg on the second spot, followed by Airbnb CEO and co-founders Brian Chesky, Nathan Blecharczyk, Joe Gebbia ranked 4th, tennis star Serena Williams (7), BlackRock's Global head of corporate strategy Geraldine Buckingham (16) and Member of Congress Elise Stefanik (25).